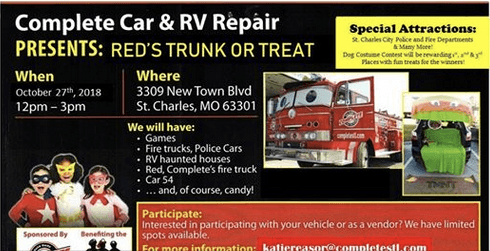 Come see us for Red’s Trunk or Treat event! There will be games, food, candy and so much more. All proceeds will be donated to The BackStoppers! More details to come! Stay Tuned!